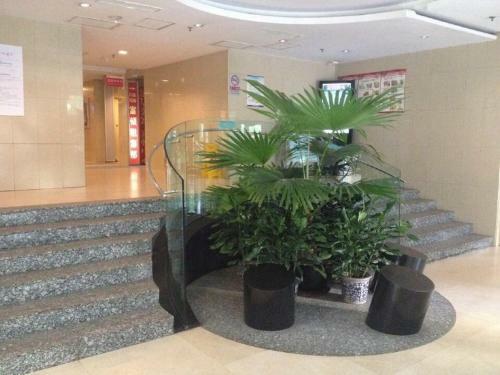 Beijing International Aparthotel Jinsong Branch is conveniently located in Chaoyang District. Offering homelike guestrooms fitted with modern comforts and free WiFi, the hotel also provides access to free parking. Both Tiantan Park (Temple of Heaven) and the lively Wangfujing Street are located 5 km away. Beijing South Railway Station lays 20 minutes' drive away. It takes around 15 minutes by bus to Zhaojiakou Coach Terminal. The modern units here are equipped with a computer and a TV. Besides a washing machine and a kitchenette, there is a seating area where you can relax. In the bathroom, separate bathtub and shower facilities are provided, along with slippers and free toiletries. To access the apartment, guests can take a lift in the building. For dining and shopping, there are plenty of local restaurants and boutique shops at your choice within walking distances. Guests are required to show a valid government-issued ID card or passport upon check-in. A security deposit of CNY 300 is required upon arrival for incidentals. This deposit is fully refundable upon check-out and subject to a damage inspection of the accommodation.